Dogs are very loyal companions. Akita Inus are a level above that. Not convinced, check out Hachiko and you’ll be treated to a very good story of how loyal these dogs are. 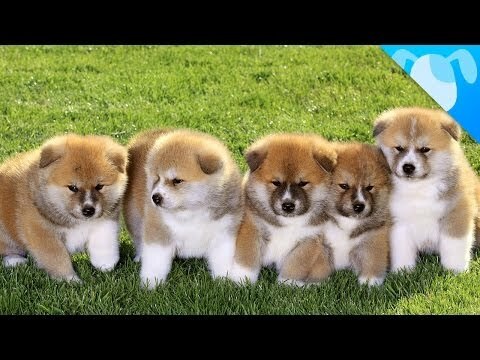 The Akita Inu is one of the oldest dog breeds. Hellen Keller was the first person to bring an Akita Inu to the States. Over time, Akita Inus have become popular pets mainly because of their sweet temperament and unwavering loyalty to their owners. As a testament to this breeds loyalty, there is a statue of Hachiko (a very famous Akita Inu) in Japan. The Akita Inu is a big and muscular dog. Even as puppies, they already show off these muscular physiques. The most popular colour that Akita Inus are known for is a blonde to orange fur with white undercoat. There are other coat colour varieties from white to dark brown which gives the Akita Inu a wide range of colours to choose from. They are also pretty tall, reaching more than 2 feet at the shoulder. So, expect your tiny puppy to become a relatively large dog within a short span of time! Akita Inus are very dignified dogs. They do have a tendency to be dominant but make no mistake about it, they are loyal without question. They’re a great family pet and work best with children and older adults in the family. They do have a tendency to become very territorial but this can easily be trained out at a young age. 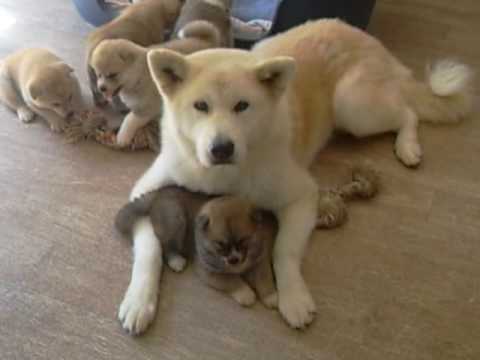 Proper socialization for puppies is the key to having a perfect Akita Inu in your family. Akita Inus have medium level energy, a short walk around the block is enough exercise for an Akita and it will happily roll around contented after this. They have very little issues, most of them related to their fur. They have a very thick coat which could lead to overheating. In fact, Akita Inus thrive best in cold temperature. 2 Akita Inu puppies for sale near you. These dogs puppies for sale are truly monumental in nature. The Akita Inu is considered a monumental breed in Japan. It is accepted as the national breed of Japan. When you look at these dogs there is no question of their strength, or why they are so favored in Japan. Their strong build, standing twenty-four to twenty-six inches, and weighing as much as one hundred and twenty pounds, these arent lap dogs. These puppies were bred for work. They have been used as guard dogs. The breed has been used in military service. They were used to hunt bear and deer, the dogs themselves bring down the game not its human owner. They were probably used to carry the hunter and the game back by pulling sleds. These jobs are noted in medieval Japanese documents. The puppies large frames and strength enables them to do these jobs but they have another quality that allows them to excel at these jobs. Their intelligence is the other quality. You will not be bringing any dumb dumb home when you purchase this puppy. 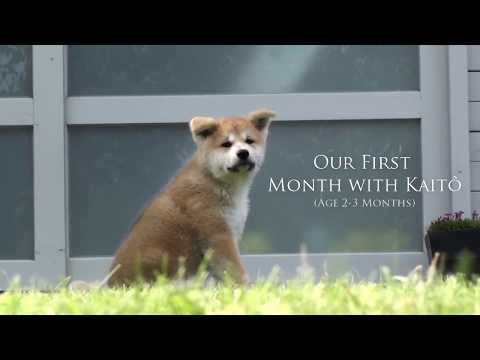 These Anita Inu puppies are curious, intelligent. They are problem solvers. The breed is courageous and strong willed. These are all wonderful qualities for a working dog, but they demand a strong and disciplined owner. These dogs need an owner that will spend time with them and assert themselves as the alpha leader. A consistent training schedule is a must. These dogs will be a loving companion if you establish yourself as the lead dog. The Anita Inu dog will not tolerate teasing or taunting. It is important that the whole family is made aware and respects the puppy. These puppies are going to be very big and strong dogs and a few concessions must be made for both the owners and the dogs wellbeing. If you live in an apartment; you may be thinking this isnt the dog for me.The Anita Inu dogs puppies for sale are apartment doable. It is only somewhat active in an indoor setting. You will not have to worry about this lumbering Hercules running amok in your townhouse or apartment, if daily walks are taken. This would be a great dog for someone who runs, or takes daily walks, especially those in a larger city. The dog is big enough that your safety is almost guaranteed. The sheer brawn and devotion of the breed leaves us with no doubt that your puppy be a wonderful companion. The first American to bring the Anita Inu back to the states was Helen Keller. Her Anita Inu kept her in good care. The dogs puppies for sale come in many different colors. The most popular being white, red and brindle but a number of other colors are out there. There coats are very stiff, rough-hewn in nature. That makes imperative that they are brushed on a regular basis. The puppies should be bathed only when absolutely necessary. The breed is very susceptible to skin problems and frequent bathing could bring on skin irritation. The breed can also suffer from hip dysplasia, but with your vets help this is nothing to worry about. The Anita Inu is a moderate maintenance dog. It does require a few more concessions of the owners time compared to some other dogs. The Anita Inu puppy you purchase will pay off a thousand times more in its devotion, and companionship it provides you. This is a nice way to make your life easier and save time searching for your Akita Inu dog’s puppy for sale. Once your email alert is put in place, all you have to do is check your emails regularly! You can create several email alerts, should you wish to do so.